I bought a Raspberry Pi 3 a while ago and got it recently. So of course I decided to run my denarius wallet on it, so it can stake always without my computer being on. The operating system is Raspbian Stretch, so I assume this tutorial will work for debian stretch as well. Now, because the daemon requires Berkeley database version 4.8 to work, we need to download, compile and install it since that is not included in the software repositories. 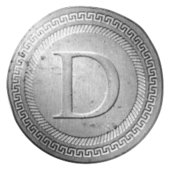 Now, let us download the denarius source code and compile it. Press CTRL+O to save the file, press enter to verify the filename, then press CTRL+X to exit nano. Now we are ready to compile it! When you have typed in this command, prepare to wait for a while, maybe grab a good book or go to the denarius gitter chat to socialize. Compiling took 63 minutes on my Pi, it will depend on your swapfiles read/write performance and if you have overclocked your Pi. make -f makefile.unix -j4 LDFLAGS="-L/usr/local/BerkeleyDB.4.8/lib"
Now, your denariusd is ready to run and you set it up like you always would. Install the deps, you may only need to install libqt4-dev and libqrencode-dev packages if you followed the tutorial above. Create the swapfile on your Pi (same as Kawaii's above) so that you can compile the code, since it has only 1GB of RAM. This creates a 4GB Swapfile. If you run into any issues during the first time trying to make the QT, try going into the /src directory from Kawaii's tutorial above and compiling the denariusd first and then compile the QT. (Also when compiling denariusd in Kawaii's tutorial, you can avoid having to edit any makefiles by installing the Berkeley DB 4.8 from the PPA I listed above). Only following carsen's guide, when I type ./Denarius I get a cannot connect to server X. Are you building within Ubuntu MATE 16.04? Correct, MATE 16.04. Anyone else try this out? Whats the exact error? Was it able to compile fine and you just can't run ./Denarius? You do need to have your Pi3 connected to a screen of some sort for the QT. 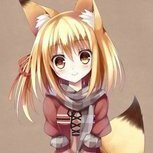 "Denarius: cannot connect to X server"
No errors in the compile. Will try kawaii's guide next and see if that changes anyhting. Sounds like it is potentially a permissions issue with your X server on your OS install. You can try the below to set the permissions to the root user. Hmm I would think it is possible to compile with 2GB of RAM. There is only one way to find out - try. I tried compiling and running denariusd on a Raspberry Pi zero W running the raspbian stretch lite image without GUI, using 512 meg RAM and 2 GB Swap. Compiling took over 10 hours, but finally succeeded. Running denariusd on a pi zero W also seems to work quite well for now, because RAM usage stays around 300 meg. 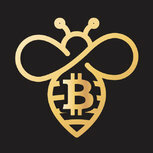 for new 2.0.2.0 QT wallet, some notes for my newbness. I just got my 1st Raspberry and need to set it up. That is a PPA for Ubuntu specifically, not Raspbian. "Error: could not find a distribution template for Raspbian/stretch" So try installing db4.8 with: sudo apt-get install libdb++-dev or the equivalent command for your OS. Thanks. Ended up doing full Berkeley install. I’m trying to compile the qt wallet now via Qt creator but receive an error regarding qmake. Do I need a specific kit or compiler? Currently only desktop kit installed. You do need full QT 5, my post above should include all the necessary packages. If you could maybe paste more of your make compile here it would be helpful in knowing what the actual error it is that you are getting as well. Would you suggest using the instructions as per buzzkillb's post, or no matter? I think it may be something to do with the qmake vs qt creator versions, which I've tried to reconcile but no luck yet. Carsen, I managed to successfully install denariusd on raspbian stretch, but after failing to get QT wallet working I decided to try on Ubuntu MATE. I keep receiving this error regarding QScroller. Any ideas?